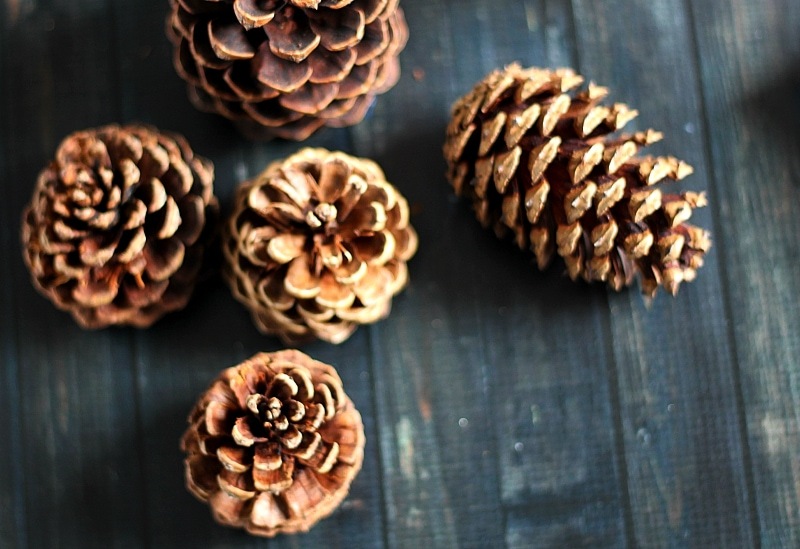 Learn how to make scented wax pine cones for decor and to use as fire starters. A simple way to bring a fresh scent to your home decor. 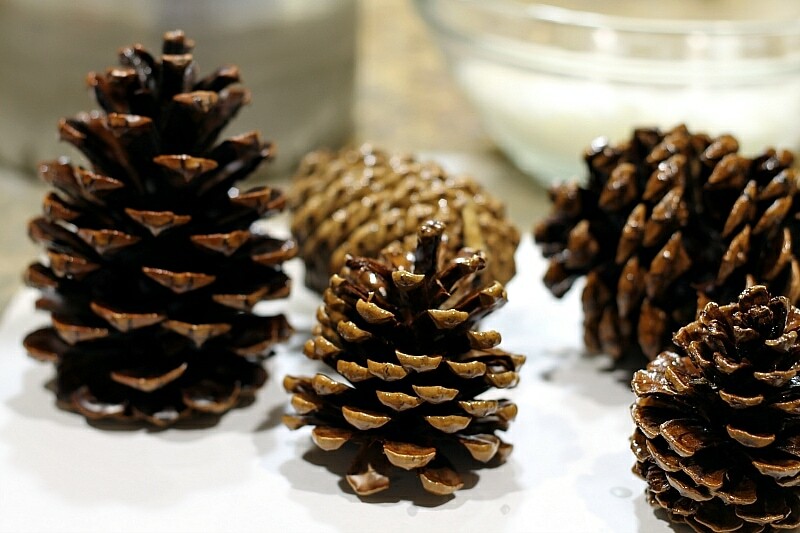 Here’s a fun and easy tutorial to make scented wax pine cones. I’m displaying them with felted pumpkins in my fall decor, but they would look great for the holidays and throughout the winter. Bonus: They work great as a fire starter too. Melt the wax. You only need enough to be able to roll the pine cone in; about 1/2 inch. I have a large Pyrex measuring cup that I use only for waxes and crafts. I also purchased a really cheap pot which is also reserved for crafting. Once the wax is melted, remove it from the heat and add your fragrance. I used 1 teaspoon of pumpkin spice extract from the grocery store. There is a little water in this extract, but most of it was alcohol, so it blended well with the wax. Next set the pine cone in, on its side, and roll, covering with wax. Then place them on waxed paper. It worked best if you are able to stand them up. The one in the back was laid on its side. See how the wax gathered and made it stick to the wax paper. They’re still worth keeping. That’s all there is to it. 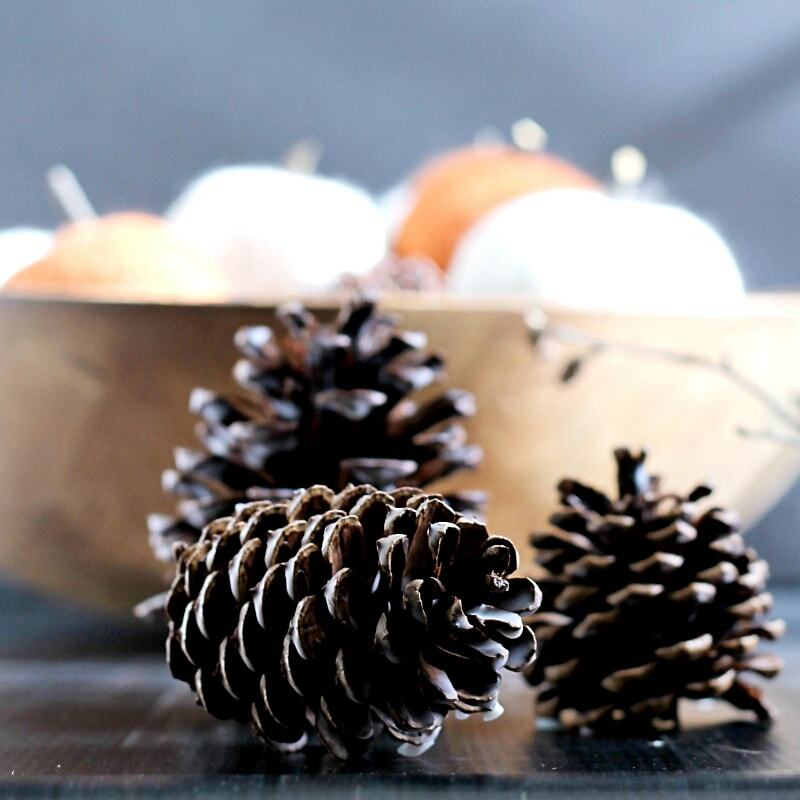 Place them in a nice bowl on your coffee table, sideboard or dining table. These will last from fall until spring and many even longer. You can always freshen them up by placing them in a paper bag, sprinkle on a little scent and shake. Easy and affordable. Another great gift idea too. Place a few in a cute bag with a pretty ribbon and pass them out at the holidays. 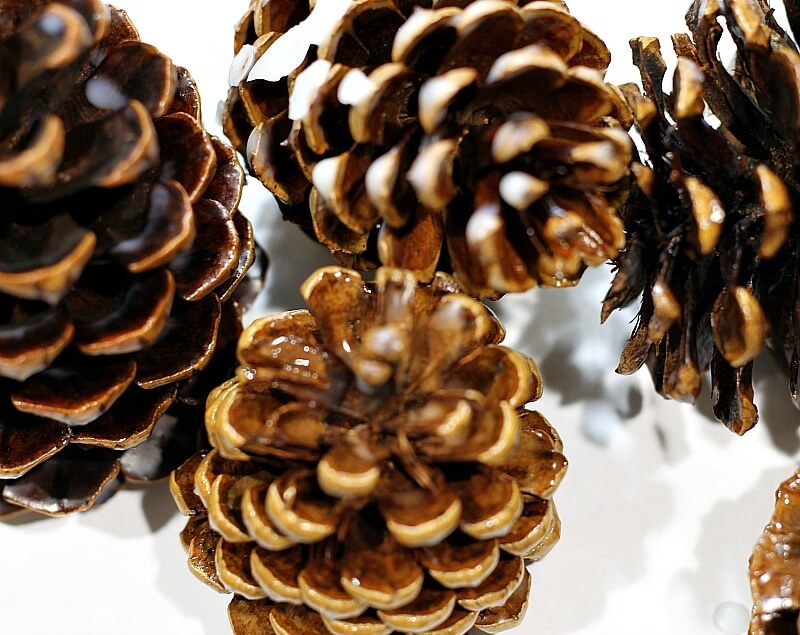 Is it possible to add glitter to your pine cone after you dip it in wax to use as a tree ornament?? Although I have not done it, I really don’t see why you could not add glitter just after dipping the cones. Great idea!